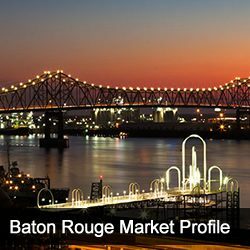 Jason Hartman has been in the Baton Rouge market before, but haven’t been there for a while. Now, however, an old LMS is back with new, built-to-rent, construction that provides some solid return on investment. Jason talks to him about why he’s back in Baton Rouge, what the new construction looks like, and the pervasiveness of institutional investors that drove him out of the Atlanta market. Prior to the market profile, however, Jason talks about the concept of iterations, and why it’s so important to not get discouraged over initial failure. You have to learn to constantly improve and always be searching for your advantage.